Home Amazon Deals Digital Body Weight Bathroom Scale for just $13.73! Digital Body Weight Bathroom Scale for just $13.73! Need a new bathroom scale to keep track of y0ur health goals this year? Check out this great deal! 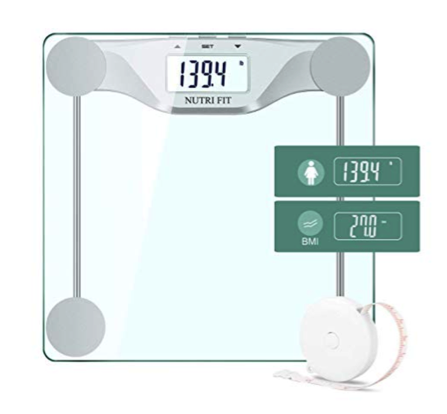 Amazon has this Digital Body Weight Bathroom Scale for just $13.73 when you use coupon code 6K2X9QZG at checkout. This is the LOWEST price on record! Next articleKid’s Adidas Shoes for just $25 shipped! Enchanted Quotes & Characters Prints for just $3.37 + shipping! Two Stainless Steel Pineapple Corer & Peelers only $5.50 each! We Are the Gardeners Hardcover Book by Joanna Gaines only $12.45! YumEarth Organic Lollipops, 50 count only $4.79 shipped!